home / Multimedia / The Holy Land in news / Meet me in the sound, through music. The Music Therapy course ..
“You will find me in the sound”: you will find me, you will meet me through sound and music. 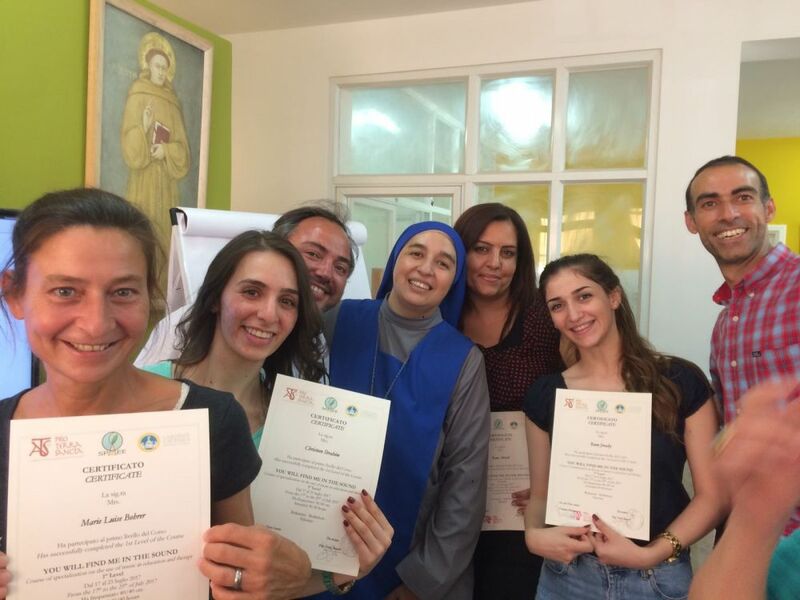 This is the title of the Music Therapy course addressed to 27 participants from Bethlehem and the surrounding area, which ended a few days ago with the award of diplomas. This was the purpose of the course: to deepen the musical therapeutic abilities and to widen the working possibilities of the participants. 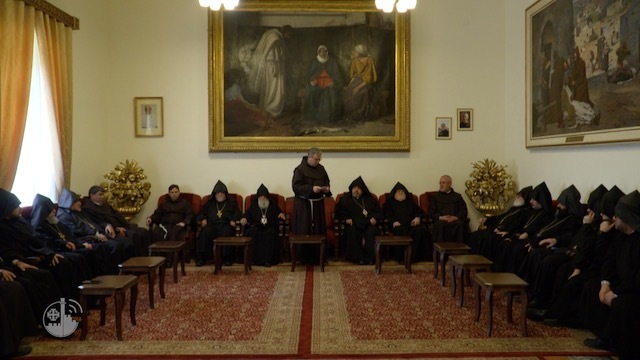 The initiative, coordinated by the Association pro Terra Sancta, has reached its fourth edition, thanks to the partnership and the contribution of the Catholic University of Milan. The 40-hour course was held by a professor of the University, prof. Dario Benatti, and has seen a good deal of involvement and commitment of the participants. All of them are local operators in the field of rehabilitation and care for children, people with disabilities and the elderly. “I’m a professional musician,” says Hanin, one of the participants, working in a centre in Gerico, “so I was already aware of the potential of musical practice for the development of the person, but this course helped me to better understand the importance of Music on a therapeutic, pedagogical and relational level “. Discover other ongoing activities in Bethlehem!